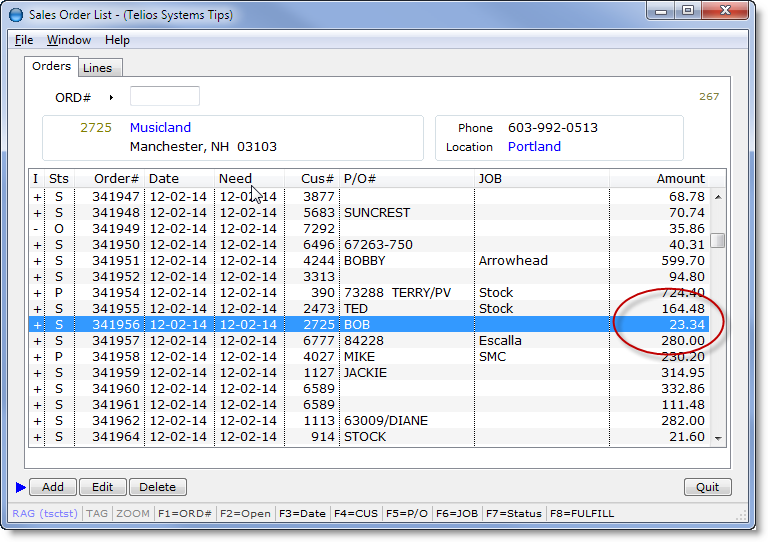 Find is limited to the data contained on columns that are visible on the list. It is also limited to all the records that are able to display within the current index. 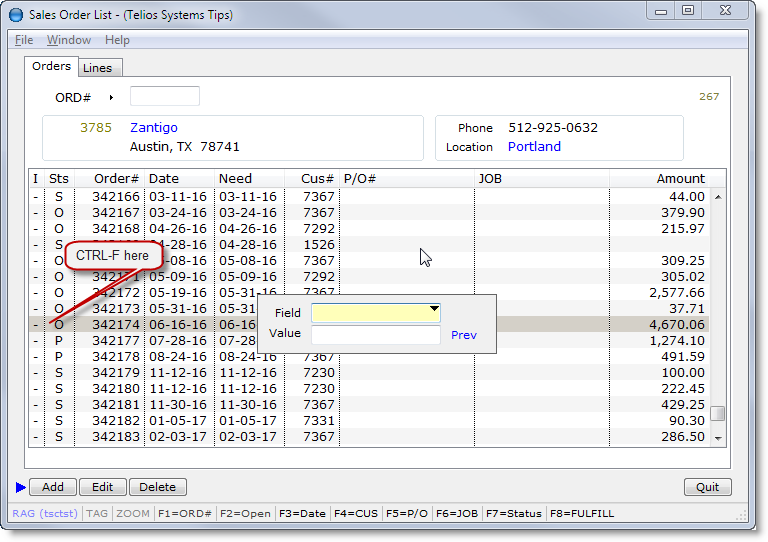 If you have a filter on the current index — like Zoom or Wildcard or Select – then your search is limited to those records. E = Start at the last record for the current index. N = Start from the highlighted record going forward. P = Start from the highlighted record going backward. 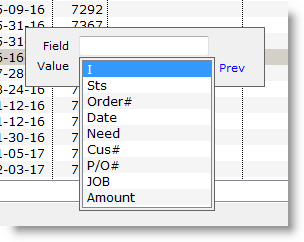 You can also use the PAGE-UP and PAGE-DOWN keys in the Value field to cycle through these options. To continue the search, press CTRL-G (as many times as you want). 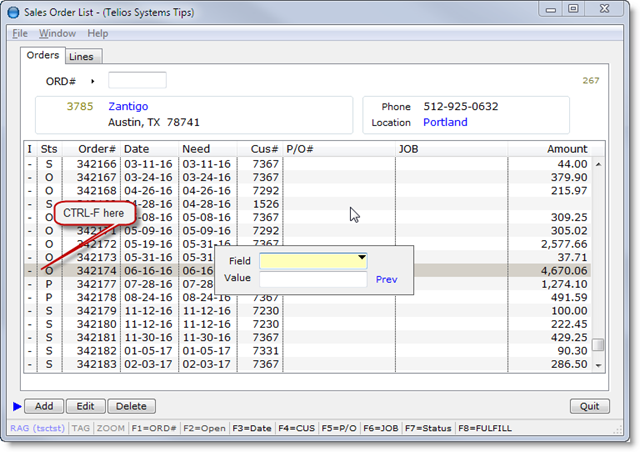 The program will search in the direction set from the popup dialog. 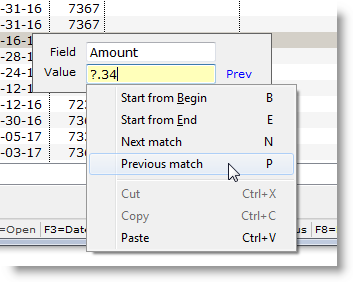 Change direction by pressing CTRL-F again and PAGE-UP or PAGE-DOWN to set a different starting point and direction. Find is kind of a brute-force search. 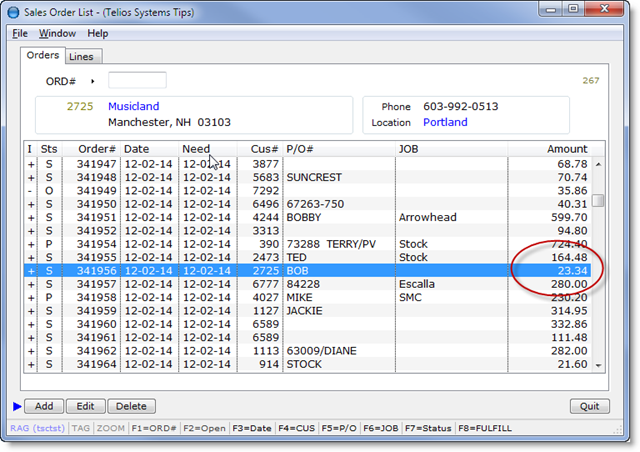 If necessary, the program will read every record in the current index to find a match. (You can always press ESC to abort the process). Also, when you enter a search value, format it exactly as it shows up on the list. 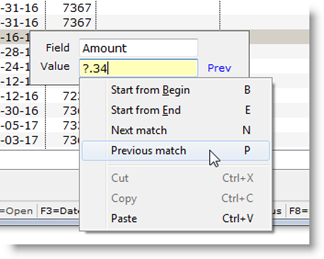 Find searches the contents of column cells. 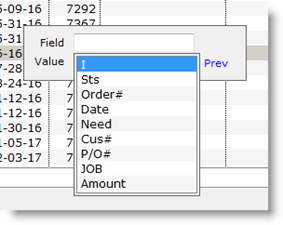 If you need to find information that is not contained on any of the list columns, there are two more options for finding stuff: Select, and Quiz Select.